» Holiday Inspiration Holiday Inspiration | Gluten Free Daily | Weight loss. Wellness. Fitness. This is gonna sound CrAzY but…my wife and I kinda love the gluten free lifestyle even more during the holidays. If I didn’t have limitations I’d eat everything in sight!! 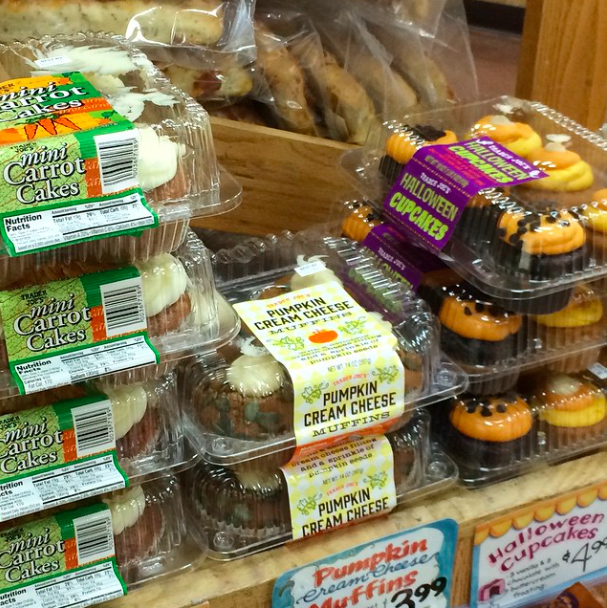 (See above cupcakes) People always say, “I feel so bad for you.. You can’t eat bread”. Don’t feel bad. After 9 years, I don’t even think about the bread basket on the table or the cake at the birthday party. I’m also not one to get stomach aches or headaches, I don’t feel sick or bloated. The truth is, our wheat is not what it was 50 years ago. It used to be more natural & had a higher protein content. Today, our wheat is made in a lab and is a hybridized version of what it used to be. It doesn’t benefit anyone. You may tolerate it. But it’s not helping you in any way. There are other grains that do but wheat, is NOT one of them. I would never judge anyone for eating it or having a cheat meal. But don’t be lured into buying something because it says, “100% Whole Wheat”. You’re better off having some steamed brown rice or quinoa if you wanna get your grains in. Don’t mean to pick on these pretty little cupcakes. I just think it’s important to have clear, concise boundaries and the holidays are no exception. Most Americans never lose the weight they gain over the holidays and the pounds just keep adding up year after year. Check in with yourself this year. Set realistic guidelines for making it a balanced holiday. Maybe you’re not ready to give up Gluten… maybe you just wanna eat more veggies or drink more water. Whatever it is, commit to it! And if you want a workout buddy..my wife is your girl. She’s happy to workout with you but will hold you accountable!! You got this! !